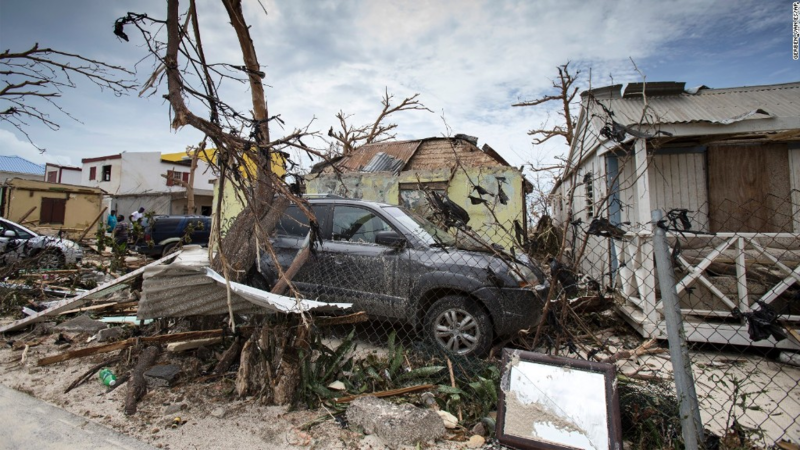 Last week, Hurricane Irma devastated St. Martin, an island divided in two by the French and Dutch governments. The storm unleashed winds of a hundred and fifty-five miles per hour, thrashing homes, five-star resorts, and Princess Juliana Airport, where tourists stand at the fence at the end of the runway and take photos of themselves experiencing the blast of 747 engines. 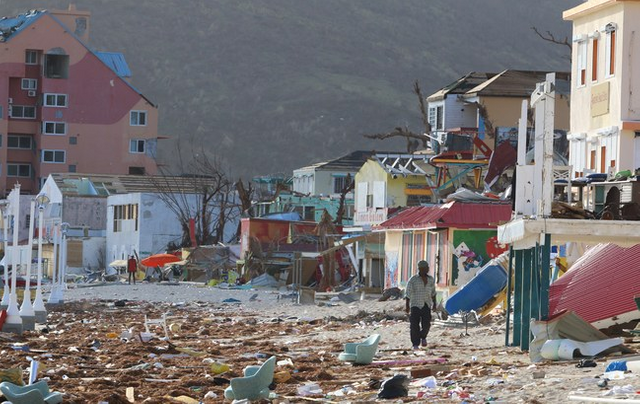 Government officials and aid groups reported that at least four people had been killed, two hundred others were missing, and seventy per cent of the buildings on the Dutch side of the island had been destroyed. At least ten deaths were reported on the French side. Seventy-seven thousand people live on the forty-one-square-mile island, and some eighty per cent of the labor force works in a tourism industry that has steadily grown for four consecutive years as foreigners flock to the island year-round. On Tuesday, I spoke by phone with Emmalexis Velasquez, a twenty-nine-year-old personal friend who works in the local government-press office on the Dutch side. She shared her account of what it was like to be on the island during the storm, described the slow arrival of aid, and outlined the staggering scope of the recovery St. Martin faces. Her account has been edited and condensed. “I think the hurricane started at about 4 a.m., when we really started to hear all the noise, and maybe by six or seven o’clock we were in the eye. So we went outside to see if everyone was O.K., and the sight was unrecognizable. With just the first half of the hurricane, the majority of the roofs were already starting to cave, paint was ripped off the walls. Cars were rolled over on the street. We live in Point Blanche, which is close to the harbor, so the sea literally came up to the entrance of my road. This used to be beach, back in the day, so the sea came and took back what belonged to it. “You thought that was bad already, but then, after the eye, the tail of the hurricane came, and that was even worse. I swear to God, I was holding on to the edge of my bed. And that’s when the damage was really done. My neighbor had lost part of his roof already—I think he was hiding in the closet. And another neighbor was hiding in a bathroom with his son and his wife. All the windows and the doors, everything was blown off. It looks like there was a giant kicking in the doors and the windows and coming inside and disrupting everything. And the steel shipping containers looked as if you had a piece of paper in your hand and you crushed it and kicked it. I’m the only one with a door still. “After the storm, it was complete devastation. There was not a roof in sight. Concrete walls caved to the side, they caved in, they collapsed. I can’t even explain what the sight was like. It kind of looked like Syria, on a smaller scale. “Up through the weekend, none of the food that they say is on the island has reached the people’s doors. I don’t know about other people, but definitely not to my neighborhood and not to my door. “Who takes a week to respond? Even the cleanup is slow. Everyone started cleaning up for themselves. Neighbors helping neighbors, those with trucks came out and started helping themselves. Everyone worried about looting or whatever. Meanwhile, Americans came and picked up their Americans, the Canadians came and picked up their Canadians. Even the Dominicans are sending pawa airlines and picking up anyone who is Dominican. It doesn’t matter if they haven’t been home in thirty years. If you are a Dominican and want to go home on a one-way ticket, you can go. “The goal was to get all tourists out first. Which is cool, we don’t need them here, because they kind of contribute to . . . But that’s organized by the mother countries. Then they were saying commercial flights were going to come for locals who want to leave. But then we have to pay for our flights? I don’t know…. “Yes, there has been some crime, but it could be way worse, considering people are waiting a week to get a response. I don’t think the most vital information is that people are looting. Considering the economic climate on the island prior to the storm, you could understand why people are going crazy now, post-storm. You had to choose between buying water and a flashlight. Cost of living is so damn high, it’s crazy.